Parents from all over the world heading for a beach vacation with their little (or not-so-little-anymore) ones should be happy to know that nothing works quite like the combination of sun, salt water, and sand to tire out kids of all ages. Fortunately, Costa Rica has two coasts brimming with all of the above plus large doses of natural beauty, family activities, great eats and wonderful accommodations. As a bonus, Costa Ricans love kids and you may notice that apart from lots of cuddles and possibly an extra candy or two, people will go out of their way to assist you and your loved ones. But how to choose where to go when there are so many options? We’ve assembled a list of five of the best family beaches in Costa Rica to help guide your journey with your family through this beautiful country. Manuel Antonio is usually at the top of everyone’s must-see list of destinations in Costa Rica, and it is a particularly wonderful family getaway spot. First of all, not only is it close and easy to get to from San José – a mere two-and-a-half-hour drive on a sweet highway – it also has some of the country’s most beautiful beaches and tranquil, perfectly swimmable waters inside Manuel Antonio National Park. The beach just outside of the park can get waves and is perfect for learning to surf. Manuel Antonio National Park is Costa Rica’s most visited park and you’ll understand why when you witness its beauty. This means that there is no shortage of accommodation, restaurants, bars, shops, and tourism agencies from the neighboring town of Quepos all the way to the national park. This area offers plenty of tour options such as snorkeling and diving adventures, canopy tours, horseback riding, and kayaking. On the opposite coast, Cahuita is one of Costa Rica’s top Caribbean destinations for families. Cahuita is located just a 20-minute drive from the famous beach destination of Puerto Viejo but is a quieter option, more suitable for families looking for an authentic Caribbean experience surrounded by nature, with the option of driving to Puerto Viejo for its wide variety of dining options and activities. Cahuita’s gem is undoubtedly Cahuita National Park, home to one of Costa Rica’s most stunning beaches, a classic white sand beach with turquoise and emerald green waters, set against a lush, green jungle. Bring your own snorkeling gear or book a tour to explore the reef and colorful, tropical marine life here. The park has several trails leading to different beaches and if you’re lucky you might encounter a few monkeys, sloths, iguanas, colorful crabs and birds along the way. Cahuita is also home to Costa Rica’s calypso legend Walter Ferguson, and a visit to this town calls for listening to his tunes to understand his source of inspiration. In Cahuita, you can find cheap accommodations and even the most expensive hotels in town offer an amazing rustic ambiance. If you haven’t tasted Caribbean cuisine you are in for a treat, don’t miss a visit to Miss Edith’s restaurant, she makes the best fish in town! And don’t be surprised if restaurant staff cuddle your baby while you eat, it’s the Caribbean way. Playa Hermosa, the one in the province of Guanacaste and not its Puntarenas namesake, is an idyllic family destination, first of all, because of its pool-like, child-friendly waters, and second of all because it is located just a half hour drive from the international airport in Liberia. Hermosa is usually quiet and uncrowded and attracts mainly sport fishing tourists and families. It has a wide variety of luxury accommodation and a couple of small resorts and makes a fantastic, quiet base to explore the rest of northern Guanacaste. As you may have heard, Nosara is famous for two things: its waves and yoga. Unless you are a family of surfers or yogis this may not sound very appealing. However, Nosara, located in the northwestern province of Guanacaste, is one of the best beaches in Costa Rica for families because of its family-friendly accommodation options, the large variety of activities for visitors of all ages and interests, and because, for those who wish to avoid the long drive over unpaved roads, there is an airport in town. Nosara is home to several different beaches, so you can choose how wavy you want your waters. Playa Garza and Playa Pelada offer swimmable waters and Guiones is the main surfing beach with a consistent swell. Babies and sleepless parents love soaking in the tide pools that form in Playa Pelada and south Guiones at low tide. The activities that family can enjoy here include river safaris through the Nosara River, turtle watching at the Ostional Wildlife Refuge, a half hour drive from Nosara, ATV tours, tennis, SUP at sea or the Nosara River, yoga for kids and adults of all levels, massage and healing therapies and surf lessons. The Nosara Kids Camp in North Guiones offers Spanish and surf lessons and Gabi’s Play, a large play park, is located right next to it. Everyone knows that traveling with your loved ones can be exhausting and sometimes we just want luxury to ease our existence. Flamingo is home to some of the best beach resorts in Costa Rica for families. Why not sip on a cocktail with your partner while the kids splash around in the pool? If this sounds like a dream, Flamingo is one of the best locations for your family vacation because it is generally uncrowded, the beach here is gorgeous, resorts offer activities such as movie nights, diving, kayaking, and include children’s play areas and a Spa. Flamingo town is quaint and elegant and it is a great base to explore other beaches in northern Guanacaste. It is also located just an hour’s drive from Daniel Oduber International Airport in Liberia. We offer a number of (customizable) Costa Rica family vacation itineraries that include beach time for you and the kids. Read our testimonials to experience what our past family clients have enjoyed on their trip to Costa Rica. 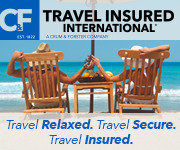 We are ready to help you plan the family trip of a lifetime. Pura Vida!